My father-in-law gave me our blackberry bush. Luckily it is thornless so even though our allotment is quite a small plot it was safe to plant it there. I was a little worried that the trade off for the lack of thorns might be a compromise on the flavour of the berries but I am delighted to report that it’s not the case. What’s more there are plenty of them. This weekend I had to make the dessert for our local dinner party club and got a little carried away making no less than 3 desserts, all of them with blackberries! A sorbet, a blackberry mousse, and these brownies. 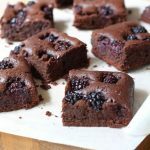 It proves I couldn’t decide what to make first with my harvest of blackberries., but I’m sharing the blackberry brownies here first – they are so good. 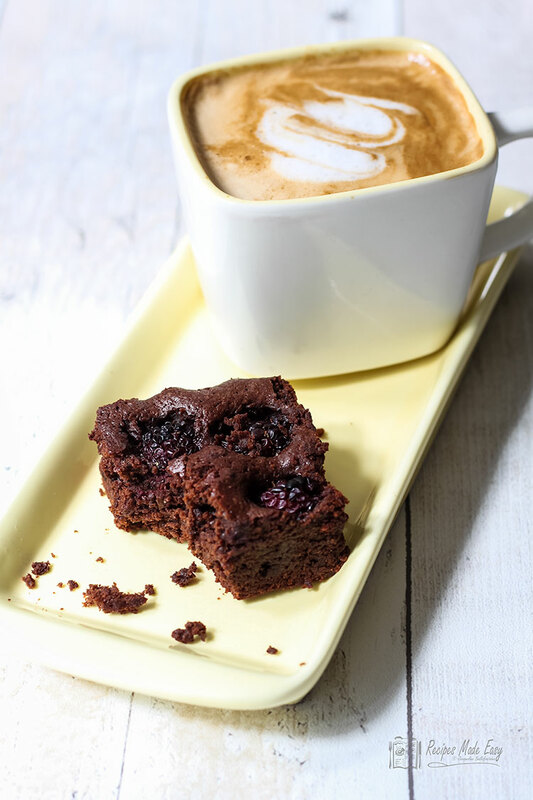 These blackberry brownies are perfect for a dessert, served with sorbet, cream or a little blackbbery coulis (see below). Although I served them cold, I can’t help but think they would be really yummy served while still warm. On their own they make the perfect little cakes for a tea time treat. 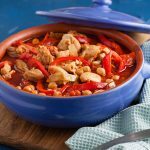 They will keep for several days in an airtight container in a cool place. I had the last one today with a cup of coffee – bliss. 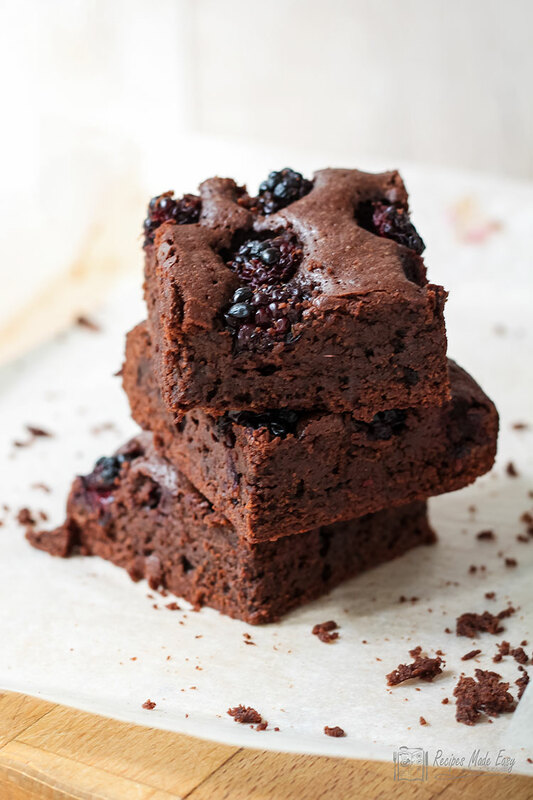 Delightfully chocolatey brownies with the scrummy addition of fresh blackberries. A perfect treat. 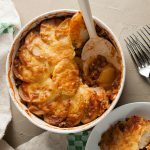 Grease and line a 23cm square cake tin. Preheat the oven to 200℃ /180℃ fan/gas mark 6. 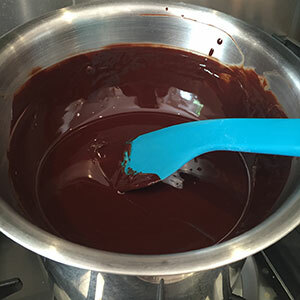 Break the chocolate into pieces and place in a bowl over a pan of hot water with the butter. Heat gently, stirring until melted and combined. 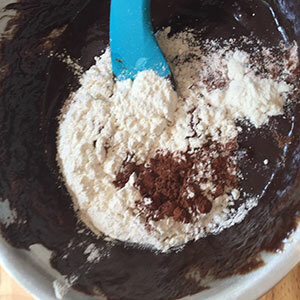 Sift the flour and cocoa powder into the bowl and mix to combine. Pour into the prepared tin and scatter the blackberries evenly over the surface. 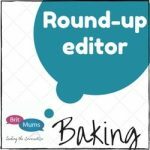 Pour into a tin and scatter the blackberries over the top before baking. 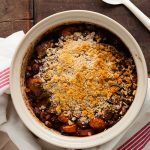 I just know this recipe will work well with raspberries too as they go well with chocolate. It is just a matter of time before I give it a try. If you beat me too it, let me know what you think. I would also love to see your pictures too. You can use frozen blackberries instead of fresh. Scatter the frozen berries over the surface of the cake batter as you would the fresh. Take care not to over bake. Brownies should be slightly soft and almost gooey in the centre. Do not be tempted to skip lining the tin, brownies are notorious for sticking. 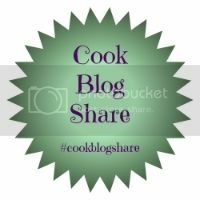 If you melt the butter and chocolate in a bowl over a pan of hot water, you are unlikely to over heat the mixture but if the bowl does get very hot allow to cool slightly before adding the eggs. To make a blackberry coulis to serve with the brownies, blitz a few few blackberries with a little caster sugar then strain through a sieve. Also delicious served drizzled over ice cream. 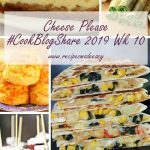 I made these several times and all people around me were very satisfied! I just reduced sugar, it was to much for my taste. 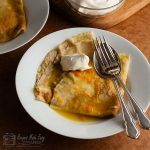 Thank you for great recipe! Blackberries gives an amazing touch! 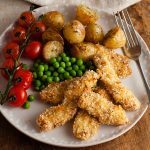 Great recipe Jacqui. i had a surplus of raspberries in the garden and substituted them for the blackberries. A special treat for our guests at breakfast! OOoh these look amazing! We have an overrun of blackberries at the moment and this would be a perfect recipe to use them up! 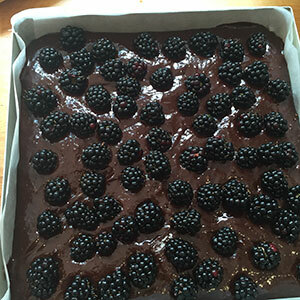 Thank you Midge Yes a good way of using blackberries, as Who can resist brownies? Ive yet to meet anyone. 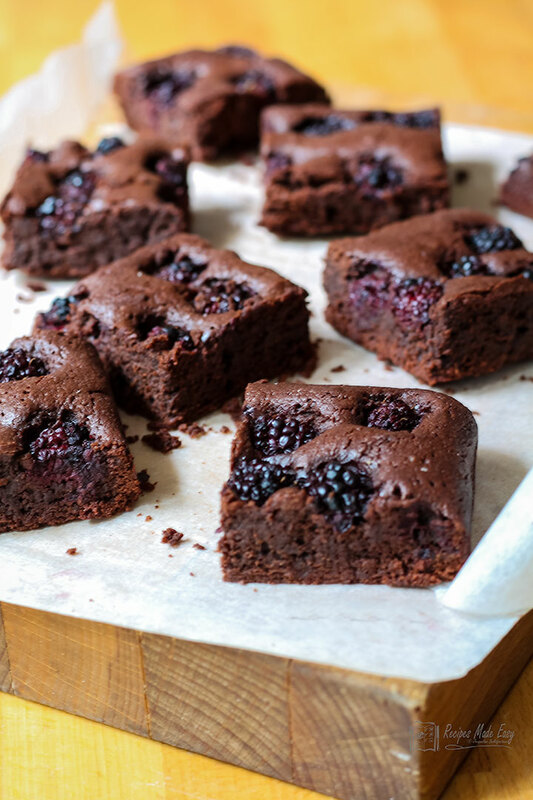 Your brownies look delicious Jacqui, what a fab idea to add blackberries. I love the sound of a warm brownie with a sorbet. Thanks Sarah. I loved the flavour of the tangy blackberries with the chocolate. Unusual for me not to have tucked in while they were still warm.